The Free Application for Federal Student Aid (FAFSA) is the most important financial aid form you will need to complete. It is important to use the most accurate information as possible when completing your FAFSA since the information you report is used by the Department of Education and Mount Carmel College of Nursing to determine your Expected Family Contribution (EFC) and eligibility for federal, state and institutional need-based awards. How Do I File the FAFSA? Complete online. The fastest most efficient way to file your FAFSA is online at the federal government’s secure FAFSA website, www.fafsa.ed.gov. Complete the FAFSA over the phone with a Department of Education counselor at 1-800-433- 3243 (TTY Line for Hearing impaired is 1-800-730-8913). Complete and mail in a paper application. This option is not recommended and may take several weeks to process, thus delaying the awarding process. The FAFSA application is specific to an academic year, so you will need to make sure you are completing the correct version of the application. New FAFSA applications become available online at the beginning of January. For questions on which year/version to complete contact MCCN Financial Services. What do I Report on the FAFSA? In order for MCCN to match your FAFSA information to your university record, the spelling of your name, your date of birth and social security on your FAFSA must match what is listed in Mount Carmel’s system. If there is a discrepancy, you will need to resolve any conflicting information to ensure that your FAFSA data can be processed appropriately. The information you need to include on your FAFSA depends upon whether you are considered a dependent or independent student. Dependent students are required to submit information about one or both parents on the FAFSA. Independent students are not required to submit parental information. However, independent students who are married are required to submit information about their spouse. Your dependency status is determined by your answers to the dependency questions on the FAFSA. It is extremely important that you answer the dependency questions correctly as it has a significant impact on the financial aid you can receive. If you answer yes to any of these questions, you are considered an independent student. If your answers to all of the dependency questions are no, then you are considered a dependent student and must provide information about your parents on the FAFSA. If you answered no to all of the dependency questions but have special circumstances that prevent you from providing information about your parents, you will need to contact the financial aid office to discuss your situation. What Parental Information Should I Provide? Parents are married; provide information on both parents. Parents are divorced or separated and still living in the same home; provide information on both parents. Parents are divorced or separated; provide information on your custodial parent. Your custodial parent is the parent you will live with for more than 50% of the academic year. If you will live with both parents for an equal amount of time, provide information on the parent that provided more than 50% of your financial support in the past year. Parent is widow or single; provide information on your custodial parent only. What Financial and Tax Information Do I Need to Provide? The FAFSA requires that you provide tax and other financial information for yourself and your parents (if you are a dependent student) or your spouse (if you are married). The online FAFSA application provides a helpful tool that allows you to ensure the accuracy of the tax information you are providing in a faster, more efficient way. The IRS Data Retrieval Tool provides you and your parents or spouse the ability to have your prior year's tax information transferred directly to the FAFSA, without you having to manually enter in the information yourself. Mount Carmel strongly recommends that you use the IRS Data Retrieval Tool to ensure the accuracy of the information you are reporting. The online FAFSA application provides helpful hints and information for how to retrieve all information requested. You can also contact a FAFSA representative if you have any difficulty completing your application at 1-800-4-FED-AID (1-800-433-3243). How Do I Finalize and Submit my FAFSA? You will need to provide the Mount Carmel College of Nursing Federal School Code in order for your FAFSA to be received and processed by the College. MCCN’s school code is 030719. If you attended another university or already completed a FAFSA, but did not originally list Mount Carmel’s school code, you will need to update your application with Mount Carmel’s school code. You will also need to sign your FAFSA in order for the Department of Education to process it and send the information to MCCN. If you are a dependent student, then one of the parents listed on your FAFSA will also need to sign the application. If you are completing the form online, you and your parent can sign the FAFSA electronically using your PIN. The Department of Education typically takes 3-5 business days to fully process your FAFSA once you have submitted a complete application. Once your FAFSA is fully processed, you will receive a Student Aid Report (SAR) that will indicate any issues with your application and your potential next steps. If there are any errors or issues that you need to resolve you will need to follow the instructions listed on the SAR to correct them. The information that is reported on your SAR is also sent to the schools you listed on your FAFSA. Mount Carmel College of Nursing should receive your FAFSA data at the same time you receive your SAR. Your Student Aid Report will also include your Expected Family Contribution as calculated by the Department of Education. What Does Expected Family Contribution (EFC) mean? The Department of Education uses the information you provide on your FAFSA to calculate your Expected Family Contribution (EFC). Your EFC is the amount of your educational costs the government has determined you and your family can afford to pay either out-of-pocket or through various financing options. Your EFC is listed as a numerical value on your Student Aid Report and is transmitted to all of the schools listed on your application along with the rest of your FAFSA data. Mount Carmel uses your EFC to determine the amount of your financial need and eligibility for need-based funding. It is important to remember that your EFC is not necessarily the amount you will owe to the College or the overall amount your education will cost. An EFC is only an estimate of the amount of your family's contribution and can be different from your final bill or amount of in-direct costs, depending on how much of your financial need is covered by financial aid offered to you. Do I Need to File a FAFSA Next Year? 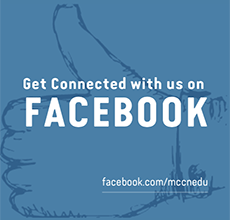 Each year you plan to continue at MCCN you will need to complete a FAFSA. This process is known as a renewal FAFSA. The online FAFSA application automatically saves your demographic information from prior years and allows you pull this information into your new FAFSA application, reducing the amount of questions you need to answer. The option to use this feature will be presented to you when you log in to the FAFSA web site. Are there any FAFSA Filing Deadlines? You should try to complete your FAFSA as soon as possible after October 1st of each academic year, Mount Carmel College of Nursing’s FAFSA filing priority deadline is March 15th. You may still complete your FAFSA after that date, but it is important to note that Ohio has a filing deadline of October 1st.